It follows on from her tale of Subsidy Sam, a satire primarily for adults also written to counter wind industry spin. 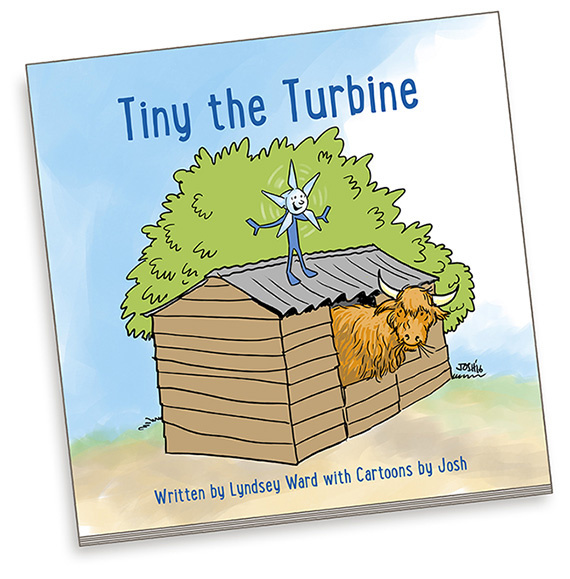 Tiny the Turbine is available as a PDF to download and you may print for personal use or email as you wish and, if you like what we have done or wish to use it in your own campaigning, please make a donation on this website to help fund this and possible future projects. All contributions, large or small, are gratefully accepted and appreciated. Thank you. If you would like to buy a printed copy please contact Josh.